Perth Symphony Orchestra | More news from Perth Symphony String Quartet’s Gascoyne in May tour! More news from Perth Symphony String Quartet’s Gascoyne in May tour! It’s been over a fortnight since a PSO string quartet left for the Gascoyne region and cellist Nick updated the team in the office. Both Nick and first violin Ruth celebrated their birthday over the past weeks, so they’ve been having a great time! “Since our last post, we’ve been exceptionally busy. On the 6th of May, we played at the TropiCOOL festival in Carnarvon, on an open air festival stage. It was a strange setting – most outdoor stage performances we do are with much bigger groups, so we made a concerted effort to fill the stage with energy through repertoire and movement. For our finale, we performed a larger scale collaboration of Happy, by Pharrell Williams, with sampler beats, rapping and singers. Shortly after, the tour packed up and shipped out to Denham, Shark Bay. 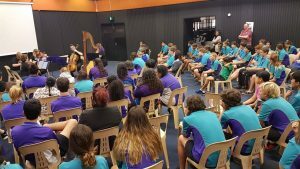 Our first few days in Denham were focused around rehearsing, getting set lists and refining the education program for the Barefoot Black Tie festival and a school visit. We also celebrated mine and Ruth’s birthday on the 10th of May with a dinner at The Old Pearler. 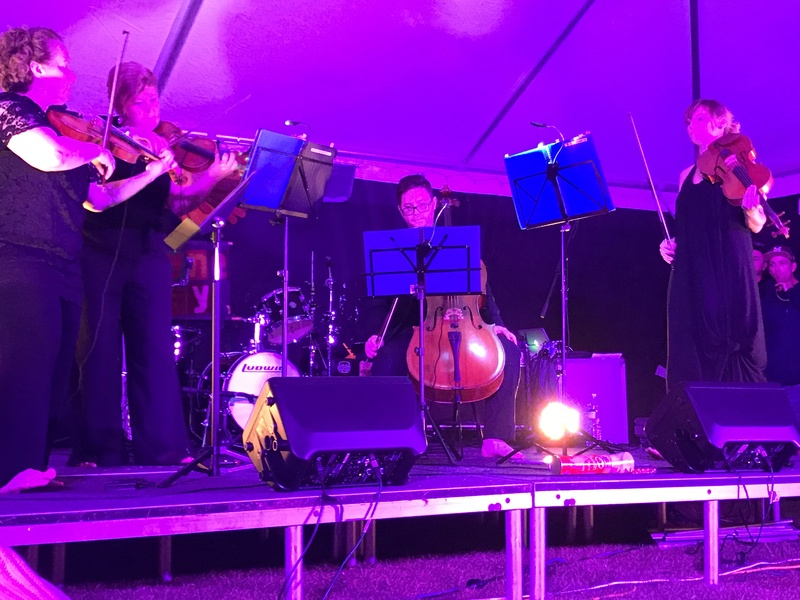 Our performance at Barefoot Black Tie really hit the spot with the audience – 25 minutes of extremely high energy pieces, all of which the audience knew and loved! We closed with Pharrell Williams’ Happy, which went off with a bang! The next few days were spent relaxing, rehearsing and collaborating with fellow tour members and as a result, we have a few pieces ready to integrate into a hip hop fusion for the next festival. A few adventurous ideas that are as fun for us to perform as different for the audience to experience. We look forward to another instalment from Nick!